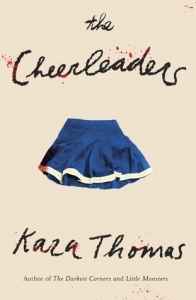 Kara Thomas’ The Cheerleaders is a gripping mystery that kept me on the edge of my seat from start to finish. The story focuses on Monica Rayburn, who attends Sunnybrook High, where five members of the school’s cheerleading squad died five years ago. Two of the girls were killed in a tragic car accident, and very soon after that, two more were murdered by a neighbor for reasons no one has ever determined. The final tragedy was when Monica’s own sister died in an apparent suicide. The school decided to disband the cheerleading squad because no one wanted to be reminded of the losses they had suffered. When the administration decides five years later that they want to do a memorial service to remember the girls, it opens up old wounds for Monica, who has never come to grips with the idea that her sister could have possibly killed herself. Monica’s step father was one of the police officers who worked the murder case, and Monica decides to sneak into his office and see if there’s still anything there that has to do with the Cheerleaders’ case. What she finds makes her realize that things may not be as they seem when it comes to this case and she becomes determined to find out the truth of what happened to those murdered girls. Her sleuthing takes her on a wild and potentially dangerous ride and the author builds so much suspense into the narrative that I was literally on the edge of my seat waiting to see what would happen next! I thought her use of flashbacks was especially effective. She shows us scenes from five years ago from the perspective of Monica’s sister. Those scenes really fleshed out the story and added a lot of depth that we couldn’t have possibly gotten from Monica. I was thoroughly engaged not just because like Monica, I wanted to know what really happened to these girls, but also because I was terrified that Monica was going to open up a can of worms that was going to put a target on her own back if the murderer really is still out there somewhere. Jane Eyre is one of my favorite novels, so I of course adored Jane in this book too. She’s smart and feisty, and every bit as likable as her classic counterpart. I also loved that the Lady Janies managed to effectively incorporate Charlotte Bronte, the author of Jane Eyre, into their story as well. In many ways, young Charlotte was actually my favorite character. I thought it was brilliant how they wrote her in as an aspiring young author who is struggling to get people to take her seriously. Ah, the life of a woman in Victorian society. Those who follow my blog know I’m always a big fan of the underdogs, and orphan, penniless Jane and unappreciated author Charlotte were the underdogs I was cheering on in My Plain Jane. Because of two parents who were Greek myth geeks, I grew up thinking the latest fashion trends were inspired by Aphrodite, and a good conversational opener was, “So, which mythological character do you most resemble?” Despite these social shortcomings, I found a great husband who’s always my first reader. We live in Utah with our two young boys, who still have no idea why I’m at the computer all the time. I received a Bachelor’s degree in Journalism from the University of Utah and a Master’s degree in International Relations from the London School of Economics. 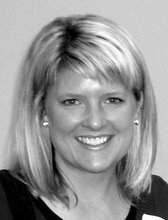 Cynthia Hand is the New York Times bestselling author of the Unearthly series with HarperTeen: UNEARTHLY, HALLOWED, RADIANT (an enovella) and BOUNDLESS, and the NYT bestselling contemporary, THE LAST TIME WE SAY GOODBYE. She lives with her family in Idaho, where she teaches courses in creative writing at Boise State University. Her latest book, MY LADY JANE, (cowritten with Brodi Ashton and Jodi Meadows) was released on June 7, 2016. Jodi Meadows wants to be a ferret when she grows up and she has no self-control when it comes to yarn, ink, or outer space. Still, she manages to write books. 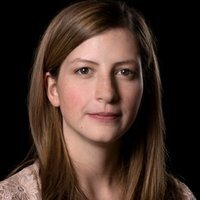 She is the author of the INCARNATE Trilogy, the ORPHAN QUEEN Duology, and the FALLEN ISLES Trilogy (HarperCollins/Katherine Tegen), and a coauthor of MY LADY JANE (HarperTeen). 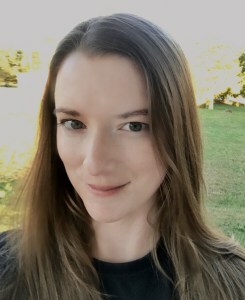 Visit her at www.jodimeadows.com. 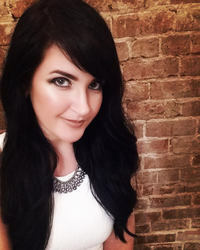 Kara Thomas is a true crime addict and the author of THE DARKEST CORNERS, LITTLE MONSTERS, and THE CHEERLEADERS, all published by Delacorte Press. You can find her on Twitter (@karatwrites), Instagram (@kara__thomas), or at http://www.kara-thomas.com. A contemporary novel about three adopted siblings who find each other at just the right moment. Robin Benway’s Far From the Tree is an incredibly moving and engaging read that grabbed hold of all of my emotions and didn’t let go until long after I reached the final page. It made me laugh, it made me cry, and sometimes it just really made me sad and frustrated. Why? Because Far From the Tree isn’t just a book about family. It also touches on some important social issues that really resonate, such as teen pregnancy and the stigma that seems to follow the teen mom but not the teen dad; the many fears that plague both kids who have been adopted as well as those who are stuck in the foster care system; the impact addiction can have on a family; and so many more. Far From the Tree follows three teenagers, Grace, Mia, and Joaquin, who are related by blood, but who have never met because their mother gave each of them up soon after they were born. Grace and Mia were both adopted as babies, but Joaquin was never adopted and has spent his entire life drifting in and out of foster homes. Grace has lived most of her life knowing that she was adopted, but until a heart-to-heart conversation with her parents, she had no idea that she also had two siblings out there in the world. She sets out to find them and it’s just such an incredible moment to watch the three of them connect and gradually start to bond with each other, gradually sharing more and more about themselves, including most importantly, fears, whether rational or irrational, that have plagued them for most of their lives. 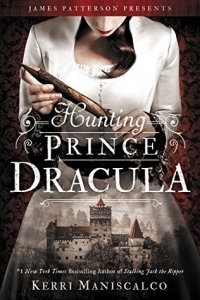 Hunting Prince Dracula is the second installment in Kerri Maniscalco’s Stalking Jack the Ripper series. 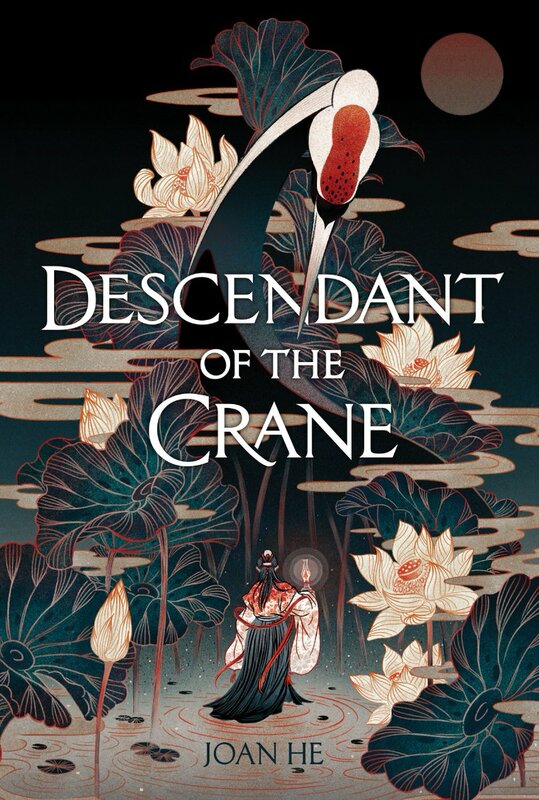 I loved the first book in this series so much and I’m happy to report that the second book is just as good, if not better, than the first! Audrey Rose and Thomas Cresswell were just as fabulous this time around, as they traveled together to Romania to study forensic medicine. Their witty and flirtatious banter fills the pages and serves as a fantastic counterpoint to the dark atmosphere and the danger that they of course find themselves enmeshed in once they enter the school, which turns out to be a super creepy castle. I don’t want to give away any details about the mystery itself but there’s blood, bodies, bats, stakes through the heart, and oh so much more, including the threat that perhaps the infamous Vlad the Impaler has returned from beyond the grave. 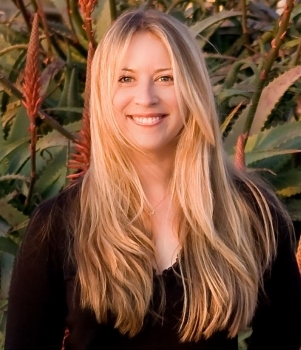 Robin Benway is a National Book Award winner and New York Times bestselling author of six novels for young adults, including Audrey, Wait!, the AKA series, and Emmy & Oliver. 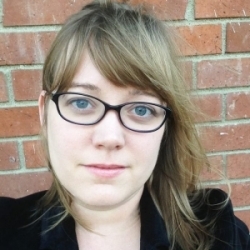 Her books have received numerous awards and recognition, including a 2008 Blue Ribbon Award from the Bulletin for the Center of Children’s Books, 2009’s ALA Best Books for Young Adults, and 2014’s ALA Popular Paperbacks for Young Adults. In addition, her novels have received starred reviews from Kirkus, Booklist, and Publishers Weekly, and have been published in more than twenty countries. 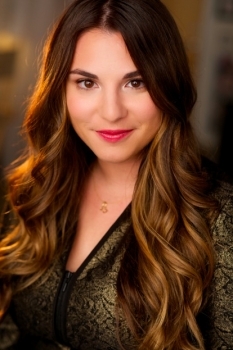 Her most recent title, Emmy & Oliver, was published in 2015 by Harper Teen, and was named one of the best books of summer by the Los Angeles Times, the Houston Chronicle, and Publishers Weekly. 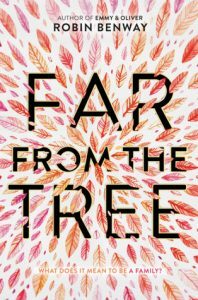 Her latest book, Far From the Tree, won the 2017 National Book Award for Young People’s Literature and was published on October 3, 2017 by Harper Teen. 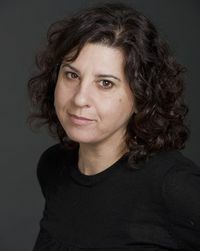 Robin grew up in Orange County, California, attended NYU, where she was the 1997 recipient of the Seth Barkas Prize for Creative Writing, and is a graduate of UCLA. She currently lives in Los Angeles, where she spends her time hanging out with her dog, Hudson, making coffee, and procrastinating on writing. 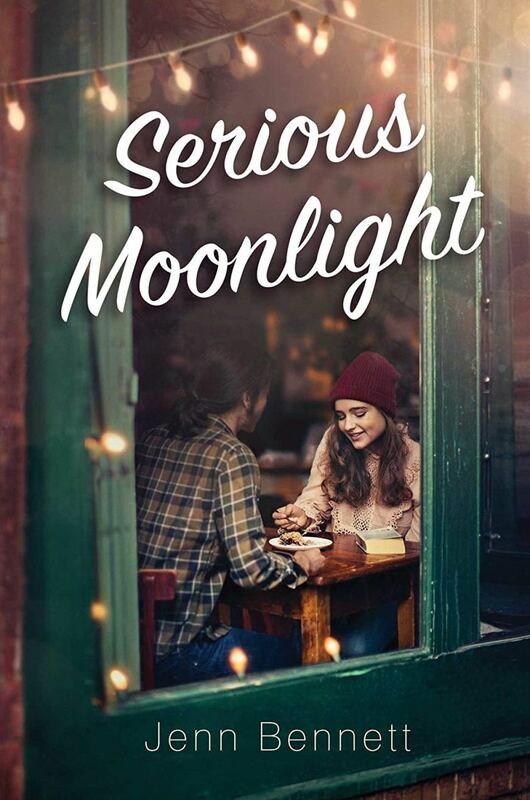 Goodreads Synopsis: Seventeen-year-old Molly Peskin-Suso knows all about unrequited love—she’s lived through it twenty-six times. She crushes hard and crushes often, but always in secret. Because no matter how many times her twin sister, Cassie, tells her to woman up, Molly can’t stomach the idea of rejection. So she’s careful. Fat girls always have to be careful. To be perfectly honest, I went into The Upside of Unrequited assuming that there was no way it could possibly be as great as Simon vs. the Homo Sapiens Agenda. I’m thrilled to report that I was dead wrong in my thinking and that Becky Albertalli has done it again. 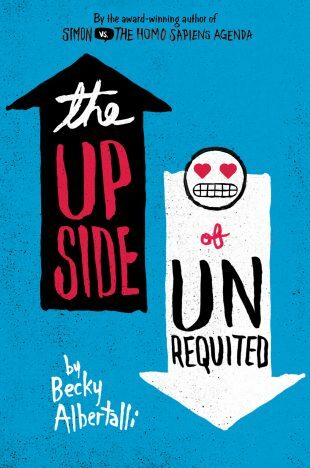 The Upside of Unrequited is every bit as cute, funny, heartwarming, and relatable as Simon and destined to end up one of my favorite reads of 2017. There’s also, however, as Molly has learned, a downside. You’re left alone on the sidelines while all of your friends, and even your twin sister, are flirting and falling in love. It feels like everyone is leaving you behind? The big question of this book: will Molly stay on the sidelines in the safe zone where she never has to worry about being rejected or will she take a chance in the hopes of finding that special someone who is more than just crush number 27? I also liked all of the nicknames that Molly gives to the boys she is potentially crushing on. When Molly’s sister Cassie falls for a girl named Mina, Molly develops a crush on one of Mina’s friends and dubs him ‘Hipster Will.’ Then when she scores a job at a local shop, she meets Lord of the Rings fan, Reid, and dubs him ‘Middle Earth Reid.’ The story takes an especially interesting turn when Molly meets these boys because with each one, there appears to be the potential for more than becoming crush numbers 27 and 28. These two boys both seem genuinely interested in Molly. Hipster Will would be great in the sense that she could continue to hang out with her sister, who seems to have ditched her to hang with Mina. But could it be Middle Earth Reid that brings her out of her shell instead? I have to admit to having a soft spot for Middle Earth Reid. He’s got that “adorkable” vibe going on and I thought his obsession with Cadbury mini eggs was just too cute for words. It immediately made me think of Simon and his Oreo obsession. Speaking of Simon?! I thought it was just so cool that Albertalli was able to work in a cameo appearance from Simon and some of the other characters from Simon vs. the Homo Sapiens Agenda. Best surprise appearance ever! Sisterhood. One of my favorite parts of this book is the relationship between Molly and her twin sister, Cassie. 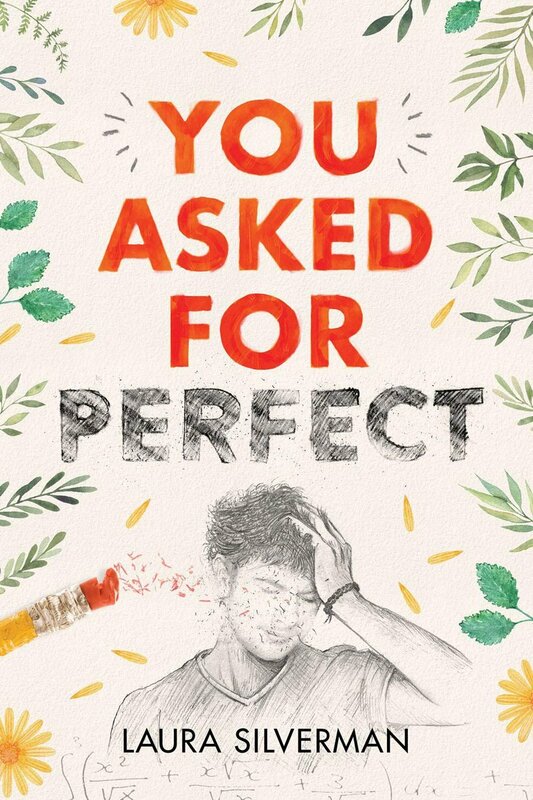 Albertalli does a beautiful job of realistically depicting all of the nuances of the bond between siblings. Molly and Cassie each know exactly what buttons to push if they are fighting and want to hurt each other, but they also always have each other’s back if anyone else tries to hurt them in any way. I liked that one of the major themes running through the story was how sibling relationships change over time. No matter how close you are as children, you’re going to grow up, move away, and probably start families of your own. When Cassie meets Mina, her first serious girlfriend, and starts spending almost all of her time with her, it really makes Molly start to think about what it’s going to be like when she and Cassie grow up and start to draft apart. Diversity. There is so much diversity in this book. Molly and Cassie have two mothers, one is white and the other is African American. Molly and her family, as well as Middle Earth Reid and his family, are all Jewish, while Mina’s family is Korean. 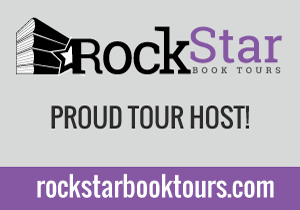 The sexuality represented in the book is richly diverse as well. There were straight characters as well as gay characters, and Mina considers herself to be pansexual. The diversity itself was fantastic, but what made it even better was how naturally it was all written in. It didn’t feel like Albertalli was just shoving as much diversity in as she possibly could, for diversity’s sake. All of the characters and relationships felt realistic and authentic. I can’t think of a single thing that I disliked about this book aside from the fact that it’s over and I want more. If you’re looking for a book about relationships, being brave enough to take chances, and following your heart, I’d highly recommend The Upside of Unrequited. It’s just a sweet and warm-hearted book filled with positive message about what it means to grow up and find love. 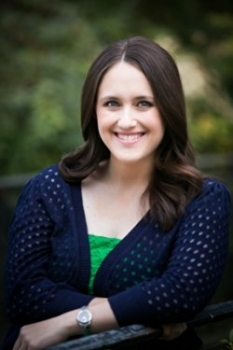 Becky Albertalli is a clinical psychologist who has had the privilege of conducting therapy with dozens of smart, weird, irresistible teenagers. She also served for seven years as co-leader of a support group for gender nonconforming children in Washington, DC. 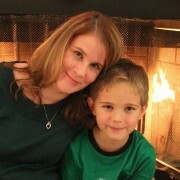 These days, she lives in Atlanta with her husband and two sons, and writes very nerdy contemporary young adult fiction. Her debut novel, SIMON VS. THE HOMO SAPIENS AGENDA, released from Balzer + Bray/HarperCollins on April 7th, 2015. I’m dreaming of the boy in the tree. I tell him stories. About the Jellicoe School and the Townies and the Cadets from a school in Sydney. I tell him about the war between us for territory. And I tell him about Hannah, who lives in the unfinished house by the river. Hannah, who is too young to be hiding away from the world. Hannah, who found me on the Jellicoe Road six years ago. Taylor is leader of the boarders at the Jellicoe School. She has to keep the upper hand in the territory wars and deal with Jonah Griggs – the enigmatic leader of the cadets, and someone she thought she would never see again. And now Hannah, the person Taylor had come to rely on, has disappeared. Taylor’s only clue is a manuscript about five kids who lived in Jellicoe eighteen years ago. 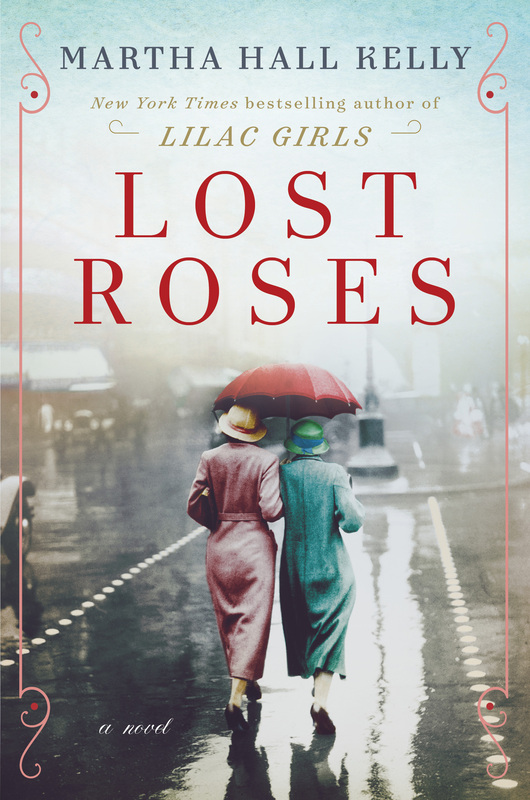 She needs to find out more, but this means confronting her own story, making sense of her strange, recurring dream, and finding her mother – who abandoned her on the Jellicoe Road. The moving, joyous and brilliantly compelling new novel from the best-selling, multi-award-winning author of Looking for Alibrandi and Saving Francesca. 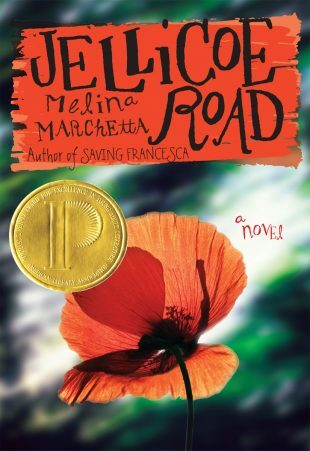 I think I’m probably the last person on the planet to read Melinas Marchetta’s Jellicoe Road. I’ve always heard wonderful things about it and actually know a couple of people who say it’s one of their favorite books. But yet, there it still sat on my TBR pile, getting buried deeper in the pile by newer books as the years went by. Well, finally, thanks to the BeatTheBacklist challenge, I can finally say that I’ve read this beautiful book as well. Jellicoe Road is not an easy book to read, by any means. It starts off very confusingly, tossing out a lot of seemingly random information that doesn’t appear to fit together in any meaningful way. There are territory wars taking place between townies, military cadets, and the students at a boarding school, which is located on the Jellicoe Road. Add to that dreams of a boy sitting in a tree, flashbacks to a car accident that appears to have decimated a family, throw in a hermit who kills himself, and a mysterious, somewhat creepy brigadier. Top all of that off with a protagonist who was abandoned at a nearby convenience store at the age of 11 and who ends up living at the boarding school on Jellicoe Road and a caretaker who mysteriously goes missing, a manuscript about a group of kids who lived at the Jellicoe Road school decades ago and you have the ingredients that make up this wonderful puzzle of a story. The beauty of the book lies in the way that Marchetta is able to take all of these seemingly random elements and weave them together into one of the most heartbreaking and poignant stories I think I’ve ever read. 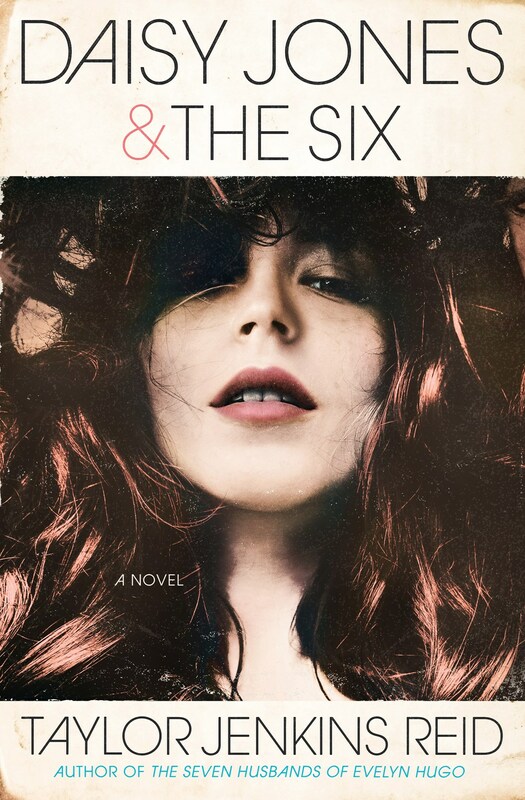 Taylor Markham is definitely the glue that holds the story together and it is through her eyes that we finally break through all of that initial confusion and start to make sense of the various elements that have been thrown at us. Marchetta makes Taylor such an interesting and sympathetic character that I found myself instantly wanting to know more about her – how could her mom just leave her like that, why is she having these odd dreams about the boy in the tree, why are her classmates opposed to her being a leader in the territory wars? Because many of my questions mirror Taylor’s own questions about her life, it made me very willing to wade into the chaos looking for answers. At its heart, Jellicoe Road is a book about relationships – family, friendships, even in some cases, an absence of relationships. 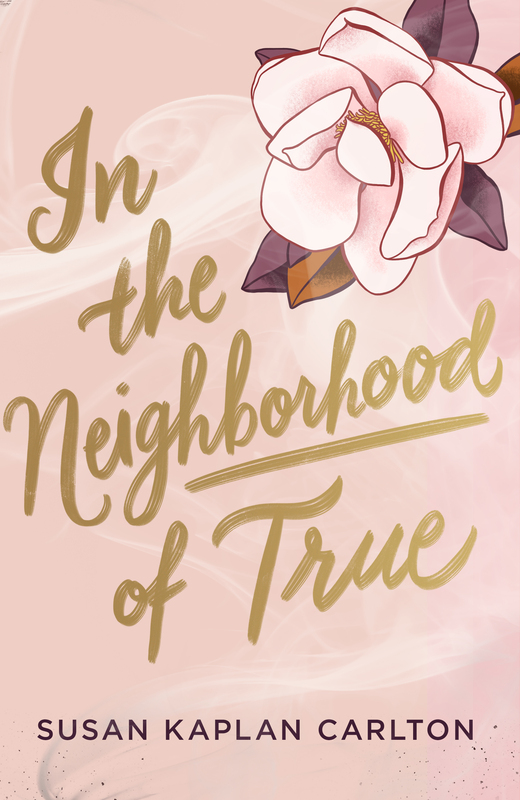 I don’t want to give away too many details because I think this book is best enjoyed if you follow along Taylor’s journey and discover the connections as she discovers them, but I will say that Taylor’s journey is a very personal one and often a heart-wrenching one. She knows next to nothing about her own life. There is no real mention of her father, and aside from the fact that her mother left her at a Seven Eleven and that she has been living at the Jellicoe Road School ever since, she has no real sense of self. Taylor is desperate to know who she is, why she was left behind, and even tried to run away from the school when she was 14 in hopes of getting some answers. The closest thing to family Taylor has ever known is Hannah, a caretaker who lives on the school grounds. Hannah is the one who found Taylor at the Seven Eleven and brought her back to the school to live. When Hannah up and disappears one day without a word, Taylor is beside herself because now, in her mind, she has no one left to care about her. 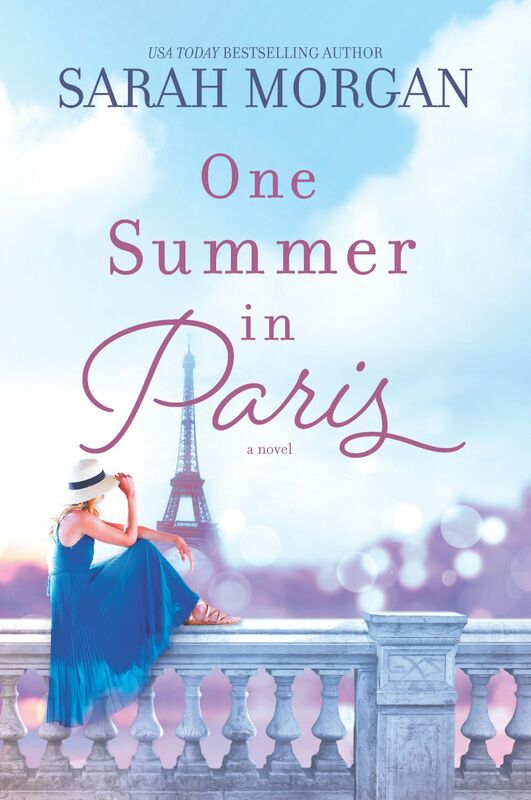 She desperately searches for clues as to Hannah’s whereabouts and in doing so, starts to unravel the mystery of not only Hannah’s past, but her own as well. Both of their pasts are filled with pain and plenty of angst, seemingly too much at times, but yet still completely realistic. I think what I loved most about the story was that even though there is so much pain and angst revealed throughout, Jellicoe Road still ends on what I would consider to be a very hopeful note. I did find all of the confusion at the beginning of the novel to be a little off putting. If I hadn’t liked Taylor so much right from the start, I think I probably would have just given up on the book. It was a pretty fascinating way to start a story though as I imagined all of those same elements swirling around in Taylor’s head just like they were swirling in mine. Both of us sitting there like WTF is going on, haha! One other issue I had was why all of the secrecy. At the time the story takes place, Taylor is about 17 years old. She’s more than mature enough to handle the truth about her past, so why torture her by hiding it from her for all of these years? I know the people involved had their reasons, but I think all of the secrets probably just made things a lot more complicated than they needed to be. I would definitely recommend Jellicoe Road to anyone who likes a good mystery. Although the story focuses on relationships and angsty family history, much time is also spent following the clues and connecting the dots. Jellicoe Road is a beautifully complex read that will just keep tugging at your heartstrings from start to finish. Melina Marchetta was born in Sydney Australia. Her first novel, Looking For Alibrandi was awarded the Children’s Book Council of Australia award in 1993 and her second novel, Saving Francesca won the same award in 2004. Looking For Alibrandi was made into a major film in 2000 and won the Australian Film Institute Award for best Film and best adapted screen play, also written by the author. On the Jellicoe Road was released in 2006 and won the US Printz Medal in 2009 for excellence in YA literature. This was followed up by Finnikin of the Rock in 2008 which won the Aurealis Award for YA fantasy, The Piper’s Son in 2010 which was shortlisted for the Qld Premier’s Lit Award, NSW Premier’s Lit Award, Prime Minister’s Literary Awards, CBC awards and longlisted for the Miles Franklin Award. Her follow up to Finnikin, Froi of the Exiles and Quintana of Charyn were released in 2012 and 2013. Her latest novel Tell the Truth, Shame the Devil is an adult crime novel. What an entertaining read this was! 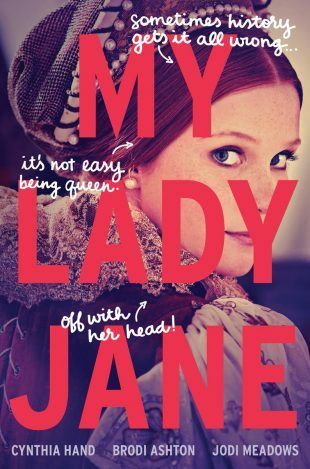 If you like humor and storytelling in the vein of The Princess Bride and Monty Python and the Holy Grail, then My Lady Jane is a must-read for you! I was thoroughly amused by this refreshingly hilarious and perhaps slightly irreverent re-inventing of the drama surrounding Henry VIII’s offspring. And if you’re thinking “Wait, wasn’t Lady Jane Grey only Queen of England for nine days? And wait, wasn’t she then convicted of treason and subsequently beheaded? What could possibly be funny about that?”, let me assure you that you’re not alone. I had the exact same reaction when I initially heard about this novel. 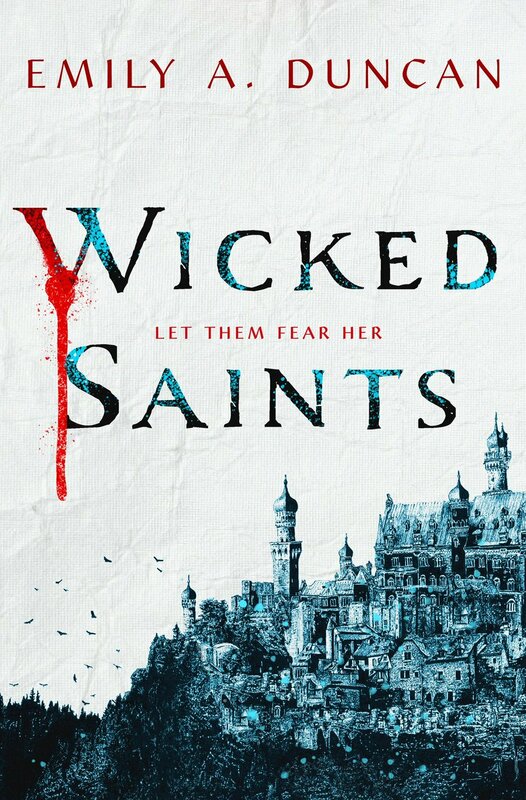 Needless to say, the fact that I was already laughing before I even finished the prologue: “Some names have been changed to protect the innocent (or not-so-innocent, or simply because we thought a name was terrible and we liked another name better)”, I was sold. That’s my kind of humor right there and couldn’t wait to read this tale of how Lady Jane Grey’s life should have gone. Jane. I loved so many things about My Lady Jane that it’s hard to decide where to start, so I’m going to start with Jane herself. 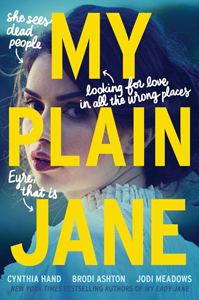 These authors have re-imagined young Jane as my ideal protagonist – she’s smart, sassy, and a total book fiend, which endeared her to me right away. Jane is Books-Over-People all the way, and so the marriage-to-a-complete-stranger situation that she finds herself in at the beginning of the story is all kinds of awkward for her. And so when she and her new husband prepare to depart on their honeymoon, Jane packs so many books that she runs out of space and so decides, being the practical young lady that she is, that the ideal traveling solution is to build a book wall between herself and her new husband in the carriage. Brilliant! Gifford. Now even though I’m laughing at Jane’s treatment of her new husband, Gifford (or ‘G’ as he prefers to be called), let me just say that My Lady Jane is filled with loveable characters and G is most definitely one of them. As you will quickly learn once you begin reading, this retelling of Lady Jane Grey’s history really isn’t history at all – it’s pure fantasy and thus has a fabulous magical thread running through it. The magic? Some of the characters have the ability to transform into animals at will. I mention this here because G is one of those characters. The catch, however, is that G apparently has no control over this gift (or curse as he calls it) and for most of his life, he has transformed into a stallion with the sunrise and only returns to human form once the sun goes down. Needless to say, Jane was not made aware of this prior to their marriage, thus making for some awkward (and oh yes, truly hilarious!) moments in their first few days together. There are several battles of wits early on where Jane and G reminded me of Benedict and Beatrice from William Shakespeare’s Much Ado About Nothing. As funny as their initial encounters are, I really loved watching Jane and G’s relationship blossom as they get to know each other better and realize how much they have in common. Even though G is actually related to some who are conspiring to steal the throne, his heart and his loyalty clearly lie with Jane. Edward. Edward is the King of England at the beginning of the book. He is such a likeable character, especially when it comes to his relationship with his cousin Lady Jane Grey, that when we learn there is a conspiracy to remove him from the throne, we can’t help but cheer for him as the underdog because nice guys should always finish first! The supporting players in My Lady Jane are just as awesome as the main characters. Some of my favorites were Gracie and Pet, who play a large part in helping Edward in the battle for England’s throne. Gracie is a young Scottish thief who becomes a potential love interest for King Edward. She’s smart, feisty, incredibly resourceful, and she’s always up for a good adventure. Then there’s Pet, short for Petunia. Pet is a loyal friend to Edward, fiercely protective, and at the same time, a bit of a free spirit. In that way, she reminds me a lot of Luna Lovegood from the Harry Potter series. I honestly can’t remember the last time I laughed so much while reading a book. It’s equal parts silly, witty, and just downright absurd at times, and I loved every minute of it! As I mentioned earlier, if you like humorous stories like Monty Python and The Princess Bride, you can’t go wrong with this book. Anything I didn’t care for? My only quibble with My Lady Jane was that I thought there were too many narrator interruptions in the closing chapters. At first the interruptions were very amusing because, again, they reminded me so much of The Princess Bride, but the closer I got to the resolution of the story, the more frequently the narrators butted in and stopped the action. I REALLY wanted to find out how the story was going to end, so having the ending prolonged by so many narrator interruptions was a bit torturous for me. That said, I still loved the overall story though. It was just so much fun!!! Who would I recommend My Lady Jane to? Well, again, I think this book’s appeal lies squarely in its humor. That humor is the key to making this such a refreshing and unique read. I’d definitely recommend it to anyone who can appreciate that humor. If you’re a history buff and would consider a fantasy retelling of Lady Jane Grey’s life in poor taste, then I’d probably tell you to steer clear. 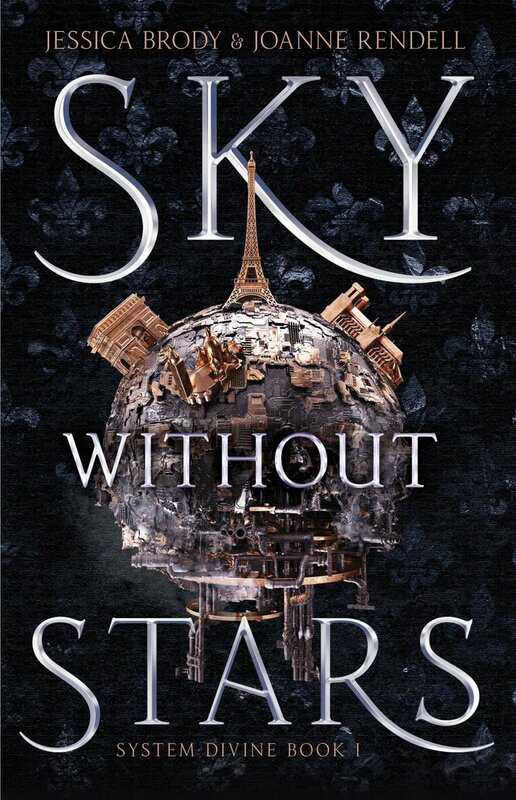 Synopsis from Goodreads: If there’s one thing Mare Barrow knows, it’s that she’s different. Mare Barrow’s blood is red—the color of common folk—but her Silver ability, the power to control lightning, has turned her into a weapon that the royal court tries to control. The crown calls her an impossibility, a fake, but as she makes her escape from Maven, the prince—the friend—who betrayed her, Mare uncovers something startling: she is not the only one of her kind. For those familiar with the Red Queen series, the second book Glass Sword picks up right where the first book leaves off. The “little lightning girl” Mare Barrow and fallen Prince Cal have escaped from King Maven and his silver minions, and along with members of the Scarlet Guard, they’re on the run. Aveyard sets a fast and exhilarating pace from the first page as the band of rebels flee to safety and then regroup to devise their own plan of attack against Maven. 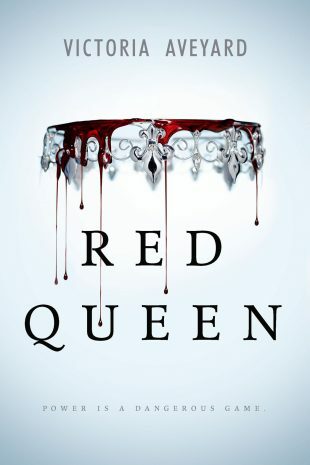 The action-packed conclusion of Red Queen was my favorite part of that novel, so I was very excited to see there was no gap in the action between the two books. The first mission at hand for the band of rebels is the list that Mare’s mentor, Julian, had given her before Maven had him killed – a list of what they have now dubbed ‘New Bloods’. These ‘New Bloods’ are others who are just like Mare – red blooded but with Silver abilities. Mare and the others know that since Maven is determined to prove that she is nothing more than a fraud with no special abilities, then he will try to find and eliminate everyone on that list to hide the fact that ‘New Bloods’ actually exist. The story then becomes a race against time for Mare and the Scarlet Guard to find each New Blood first and to hopefully recruit them to their cause. With an army of New Bloods on their side, the odds of stopping Maven become much greater. This sounds exciting, and at first it is, as each ‘New Blood’ is found and we learn what their special powers are. However, and maybe it’s just me and my impatience, but after a few journeys to find, save, and recruit, I got bored and just wanted to fast-forward to when all of the ‘New Bloods’ had been located so that I could just move along with the rest of the plot. 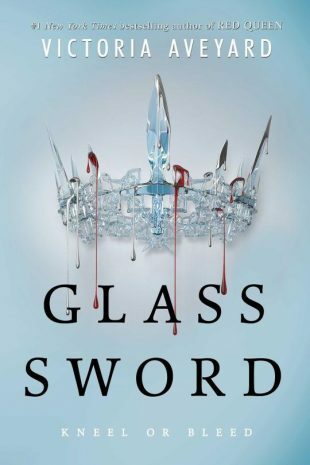 Okay, so what did I really like about Glass Sword? Backstory on Farley – Farley is still my favorite character so I love that I got to learn a lot more about her in this book. Cal – I didn’t really think Cal was all that in the first book, but he’s really starting to grow on me in this one. He’s a bit of an enigma now that he has lost everyone and everything he held dear and we get to see a side of him that we haven’t seen before as he’s trying to figure out who he is and what he wants. Will he help Mare and the Scarlet Guard or will he ultimately side with his Silver brethren if they will take him back? Only time will tell, but I like the developments in this character and want to see more of him. New Blood super powers – I know I said I got bored with the actual tracking down of the New Bloods, but that said, the powers they possess are awesome! Aveyard seems to come up with an endless supply of super cool abilities for our rebels. Among others, there’s a chameleon, one who can manipulate gravity, and another that can create optical illusions. The powers are very different from the brute force, X Men like powers we saw in ‘Red Queen’ and seem sure to come in handy in a death match versus King Maven and his army of Silvers. The ending! – I don’t want to give it away, but the ending is cliffhanger of epic proportions. 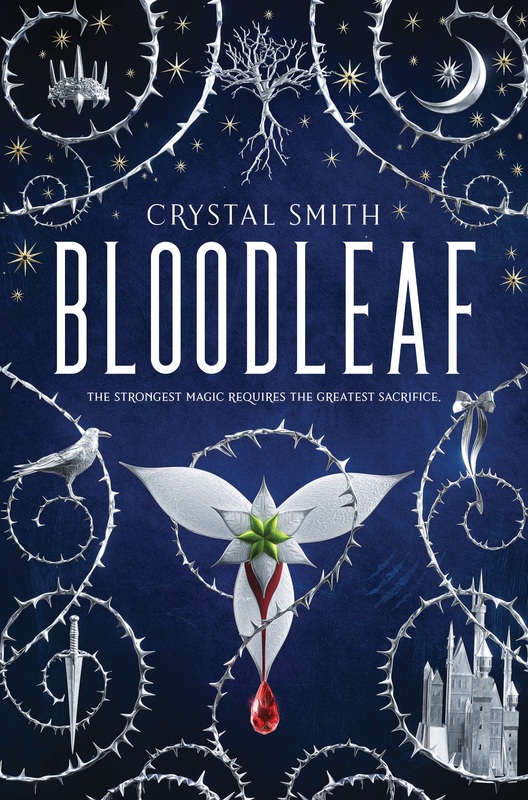 In spite of my disappointment with certain aspects of ‘Glass Sword’, the ending alone makes me want to get my hands on the next book as soon as possible. Aside from the repetitive nature of the recruiting missions I already mentioned, there was one other problem area for me and I hate to say it, but it’s Mare. I don’t know why, but I’m just not feeling the connection to her that I think I should be feeling, especially since she’s the protagonist. I don’t want to say that I don’t care what happens to her because that’s not true, but there is still something about her that frustrates me to no end. I understand that she’s in turmoil because of what has already happened to her and because of her fears about what she could become in her quest to defeat Maven – the fact that she would be responsible for not only taking lives herself, but also for potentially sacrificing the lives of those around her. I get it; I really do. However, her constant running internal dialogue about it drove me crazy after a while, especially her repetitive bemoaning of the fact that she misses her Maven – the boy she thought Maven was before he turned out to be such a complete and utter monster. I really just wanted to scream at her Cher-style: “Snap out of it!” So, yeah, even though I truly do love Mare’s badass side and want her to rise up and defeat Maven, I really need her to hurry up and move past the whole ‘missing Maven’ thing and get focused on the task at hand. Well, I liked it, but I didn’t love it. Even with my disappointments though, the overall story still has potential to be pretty amazing if I could just find a way to better connect with Mare. I’m still hopeful this will happen as she grows more into her role. Even if that doesn’t happen though, I’m still committed enough to the story to want to see how it ends and, for that reason, would definitely still recommend it to anyone who enjoyed the first book. 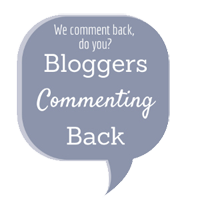 “I’m a writer repped by Suzie Townsend at New Leaf Literary & Media, Inc. I split my time between my hometown East Longmeadow, Massachusetts and Los Angeles. After graduating with a BFA in Screenwriting from the University of Southern California, I decided to try my hand at writing a novel. My debut RED QUEEN came out of the terrifying, unemployed year after college. The sequel GLASS SWORD released in February 2016. At its heart, Red Queen is a story about oppression. Reds are deemed inferior to Silvers, not because of the color of their skin, but rather, because of the color of the blood that flows through their veins. Reds live in poverty, while Silvers live as nobles who deem it their right to treat all Reds as dirt beneath their feet. And I guess it’s pretty easy to keep another group of people under your thumb when it’s not a fair fight because these Silvers are not your average, everyday nobles. Not only do the Silvers have silver blood running through their veins, but each one of them is also born with X-Men like super-human powers. It might be the ability to harness fire, water, or even metal, or it might be the gift of mind reading, just to name a few. From an early age, they are trained to understand and master these special talents, not so they can use them for good, but so as to effectively wield them as weapons. The irony here is that even though the Silvers possess all of these super-cool and destructive powers, they still force Reds to fight and die for them in a war against other Silvers that has been going on for generations. Enter Mare Barrow, a Red girl who accidentally discovers she has super-human powers that rival the Silvers. She teams up with the Scarlet Guard, a group of Red rebels who have decided it’s time to fight back against the Silver’s oppression of their people, and you have the makings of an epic David vs. Goliath- style matchup. The Superpowers! – The superpowers were, by far, one of my favorite things about the book. The author’s descriptions of these characters, both in training and in actual combat, were so vivid that all I kept thinking while reading was “Wow, this would make for such a cool movie!” The action-packed ending in particular was spectacular, probably the highlight of the story for me. The Plot Twists – The lies and endless betrayals kept me guessing every step of the way and I love a book that is unpredictable. 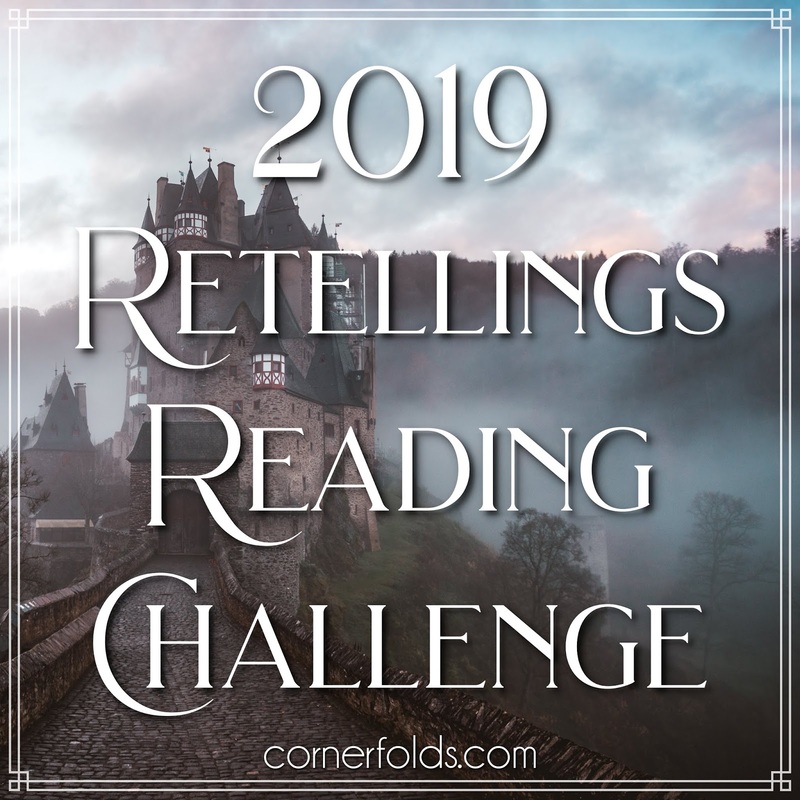 The lies were convincing enough that I fell for all of the same tricks that the characters did and was just as shocked at the betrayal as they were. Strong Women – From Mare and Farley on the Red side to Evangeline and Queen Elara on the Silver side, this novel is filled with some pretty fierce female characters leading the charge on both sides of the rebellion.